Texthelp Read and Write v12 GOLD is the world's leading literacy support software designed to assist users of all ages who require extra assistance when reading or composing text. The software provides users with dyslexia, literacy difficulties and ESL (English as a Second Language) with literacy support throughout their education, from primary through to tertiary level and into the workplace. Read and Write v12 GOLD offers support functionality frequently absent in mainstream MS Windows applications. In addition, it provides a host of study features to assist any user with research and composition. The easy to use toolbar that "floats" on top of any open application. 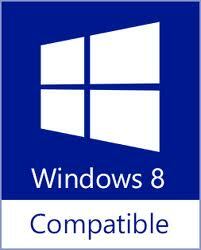 The software works discreetly with all mainstream Windows applications. This offers users the opportunity to work in an inclusive manner alongside their peers and colleagues. Yes, we can supply a 30 day trial of textHELP Gold for PC or MAC. Please email info@enablingtechnology.com or call us to request one. Can I upgrade from other versions? As tthis is a subscription service, all updates are included within the annual subscription cost. If you purchased v11.5, you receive £15.00 off the first year. Not for single copies. They are one installation per machine. If you are needing textHELP GOLD for more than one user, we recommended implementing a concurrent or site licence. These can be very cost effective when priced per user and ensures ultimate inclusivity across a college, school, or work place computer network. If you are simply wishing to use textHELP GOLD at home and then at school or work, we recommend obtaining a textHELP Work and Home licence. Alternatively, to use textHELP wherever you require it, a USB Mobile version is also available. When ordering please ensure you provide us with a valid email address so we can issue you with your download certificate.